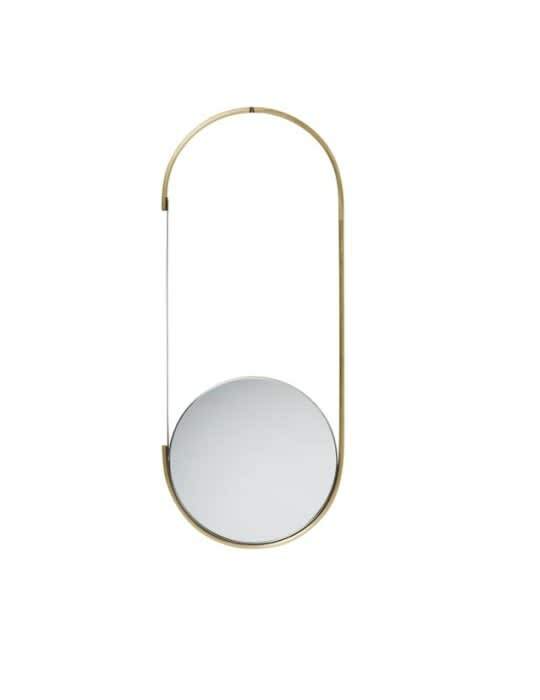 The Kristina Dam Mobile mirror is a functional work of art. The mirror can be hung directly on the wall. However, it is more fun to hang it with the supplied leather cord on the ceiling. There is a mirror on the front and rear.